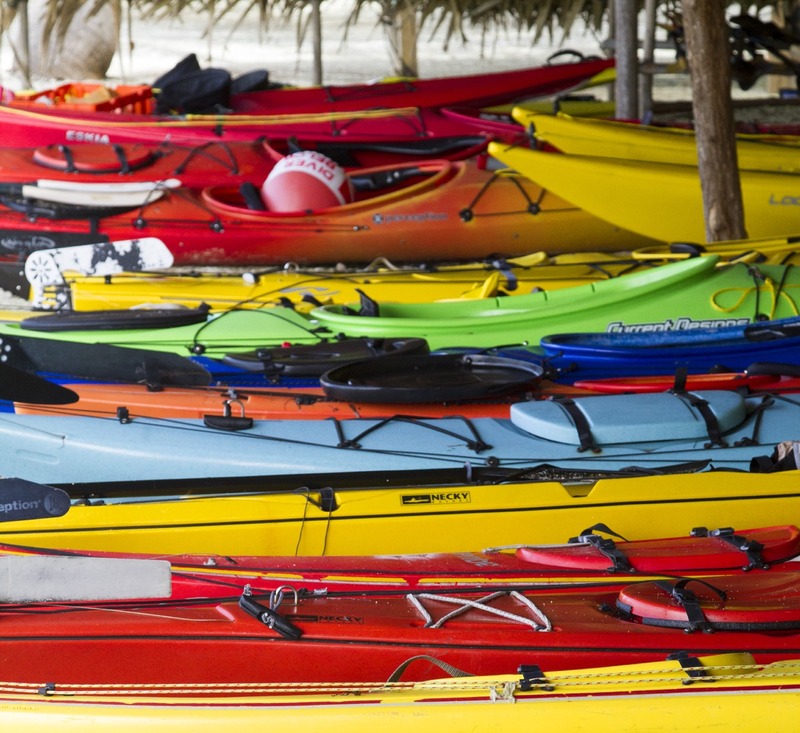 In a nutshell, we provide the big stuff: kayaks, paddles, lifejackets, surfboards. You provide the little stuff: snorkel gear, rash guards, booties, flashlight. Please request our packing list. We can send it to you mail or by email. Should I bring gloves for diving and snorkeling? No, you should never touch coral. We encourage everyone to be conscientious about preserving an area we feel fortunate to have access to. It says to bring long underwear on the equipment list, is that necessary? Yes; in “cold” weather (60-65 degrees) the extra layer extends the warmth of your other clothes. Cold spells can happen at any time of the year, and long underwear is something most people already own, plus it doesn’t take up much room in your luggage. 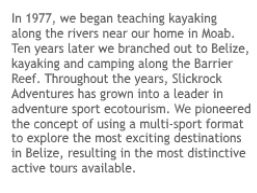 I have questions about snorkeling gear (or fishing gear, or water shoes, or ….) What kind should I get? Many sports require special gear that we do not provide as it is personal gear and must fit your body (or in the case of fishing in Belize, the fishing is fantastic at our island for those who don’t require instruction). Request our full packing list that can be mailed or emailed to you. For our recommendations for the best fins for snorkeling and other gear, visit this page on our website. Snorkeling vacation packages are available to our private island every week from December – April.